Traditional Ayurveda medicine practice is based on the ancient Indian philosophy and focuses on the idea of creating a long, full life, ie; the principles are promoting practical vitality, health and current longevity.This is mainly based on the prevention rather than cure. Based on the daily habit of personal healthy life – A type of regular healthy activities. Fundamental and the most basic self-massage known as Abhyanga. Ayurvedic oil massage can ease the mind and body from many types of stress, and toxic build ups. How do Ayurveda oils work? Ayurvedic massage has become a way of life for the people of India and around the world. It is a natural form of exercise that provides us a balance between mind and body. It is believed that in the system of Ayurveda, every human beings are composed of a Dosha of its own. Dosha is a combination of five different elements, ether, wind, fire, water and earth. According to Ayurveda, “Doshas” are responsible for a healthy purpose it balanced equilibrium of a person. An imbalance manifests can result in negative or undesirable condition. Using Ayurvedic oils in massage is a powerful factor in the maintenance of harmony and balance. Due to the extremely small size of the oil molecule, Ayurveda oils penetrate the skin easily and transporting natural healing properties, directly to cells in the body. Our skin contains the most beneficial hormone, therefore, touch therapeutic massage communicates a positive message in the body.It balances the endocrine and nervous system, brings to life the necessary energy points (marma points) and effects literally billions of nerve endings that connect to all parts of the body, including the brain and vital organs. Toxins flow from body tissues and removed gently, leaving all our deeply balanced and nourished. What’s the best time for massage? Traditionally, Ayurvedic massage is performed in the morning, before your shower or bath, to release of toxins from the that may have accumulated during the night. It is also advisable a mini massage at the end of the day before the shower or bad. One can also simply massage the soles with various ayurvedic oil at night it certainly helps people with insomnia and promotes restful sleep. How to do Ayurveda full-body massage (abhyanga) ? One can begin with heating the oil in a bowl. Use the open hand, instead of your fingers, massage the whole body. In general, use circular motions over rounded areas (like joints, head) and straight strokes on areas (like neck, long bones). Apply moderate pressure on most of his bodies and a slight pressure on the abdomen and heart. 1.Start with the head, pour a small amount of oil on your hands and massage the scalp vigorously. Use the flat of your hands, make circular motions to cover the entire head. Spend more time massaging your head than other parts of the body. 2.Move to the side on the outer ear, remembering to apply a small amount of oil going from one body part to another, gently massage the area. 3.Massage the front and back of your neck and upper spine. At this point, you may want to cover the rest of his body with a thin layer of oil to give maximum time for the oil to soak in. 4. Now vigorously massage your arms, using circular movements in the shoulders and elbows and long strokes, back and forth in his arms and forearms. 5.Now massage the chest and abdomen. Use a very gentle, circular motion on the heart and abdomen. You can start at the bottom right of your abdomen and move right into the bottom left, to gently massage the intestines. 6.Massages your back and spine as best you can.Massaging the legs tight, circular motion on your hips, knees and ankles. Use long straight on the thighs and calves. 7.Finally, massage your soles. As with the head, you can spend more time in this important area of your body. Use the palm of your hand to massage vigorously plants.Allow absorption for 20 minutes before a bath or a hot shower. So to enjoy all the benefits of massage therapy in a daily living and make sure you participate in this type of Ayurvedic healing as often as you can. Massage itself is a heavenly retreat for the mind, body and spirit. 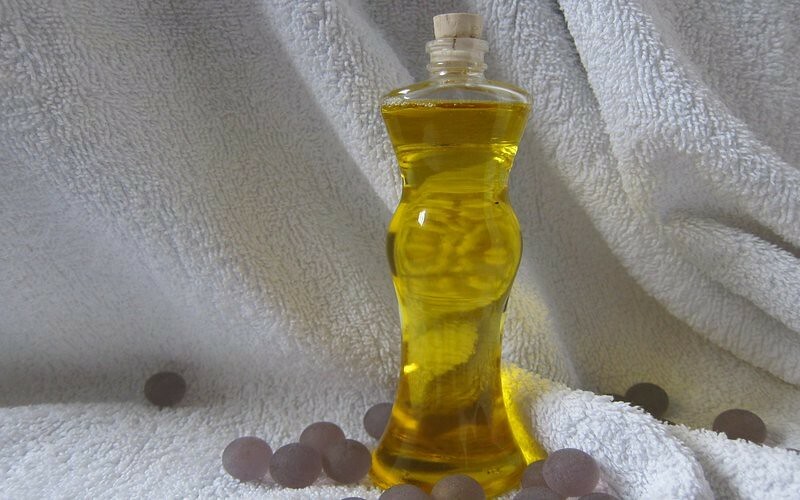 It is wonderful therapy in which essential oil are used to massage a body, it takes to the next level of happiness. If you have not tried any of the massage you are missing something, the experience one will never go back.